Steven’s friend Mathew Masters cleared up a burning question for us: What is the history of “la caja China” (“Chinese box”)? More specifically, how did it get it’s name? To paraphrase the blog Mat recently posted on his website, shoplatintouch.com, this ingenious grilling device–sometimes called “la caja asadoro”–was thought to have emigrated to Cuba with 150,000 Chinese laborers in the mid-1800s. 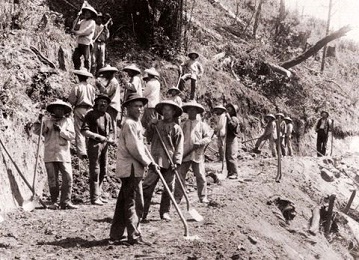 According to legend, it was these workers who brought this style of cooking to the island. Using makeshift wooden boxes, they built wood fires on top, a method that roasted the pig very efficiently. 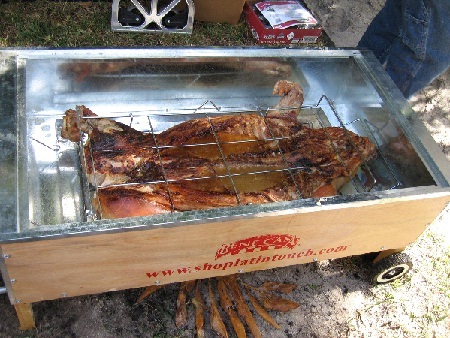 Today, “la caja China” is familiar to grillmasters all over the world and has a cult-like following. But evidence does not support this theory as history does not show a culinary cultural exchange between the Chinese and native Cubans. Food anthropologist Stanley Mintz theorizes the term “China” doesn’t refer to the Asian country at all. Instead, he says, “China” (or “chino”) was used, slang-like, to describe something clever, mysterious, or exotic. Thus, “la caja China” actually translates to something like “the magic box”. Whatever it’s called, la caja China, Mat believes, is the best-kept secret in the American barbecue community today. He appreciates it for its ability to roast large quantities of food in a short amount of time. 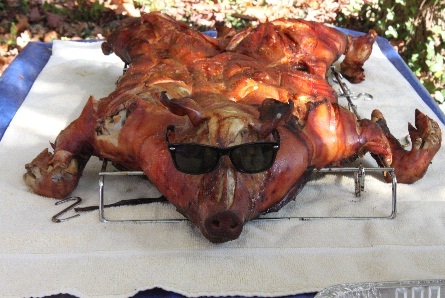 He claims a whole pig, for example (see below), can cook in half the time of conventional barbecue methods. Thanks for the history/etymology lesson, Mat!